Hi guys, Jerm here to tell you about an event that is coming up here in the next month! 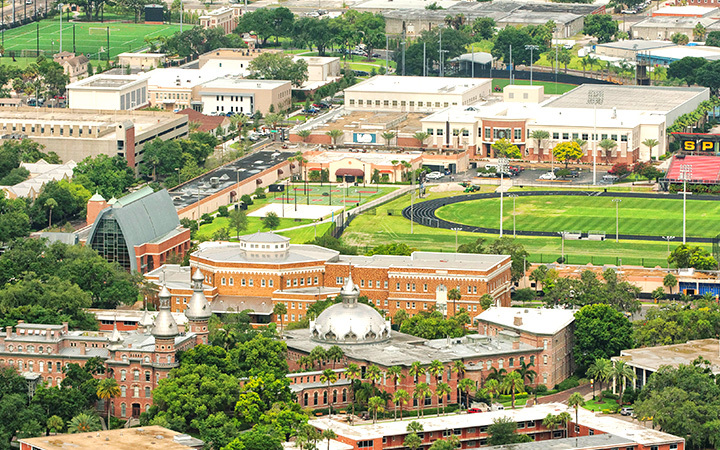 As many of you may or may not know I am an alumnus of The University of Tampa (Class of 2004), and I regularly go back and speak to students about my job here at Tampa Bay & Company, as well as answer any questions about some of the on-line marketing initiatives that we have going on at any time. Well a while back, I began working with the University and one of my former professors Dr. Judith Washburn about possibly doing an event where we bring in local businesses and agencies and do an event/panel discussion where we tackle tough topics in the world of on-line marketing etc. Well after a year of thinking about it and numerous conversations we are going to putting on the first of what will hopefully be many of these type events! The first one is "Hot Topics Breakfast: Harnessing the Power of Social Media." Will be joined by a panel that includes some of the best and brightest in Social Media Marketing. The panel will be moderated by Dr. Michael Weeks of the University of Tampa, and Assistant Professor, Management; Senior Associate Director, TECO Energy Center for Leadership. The event will be held March 16, 2010 and will run from 7:30 am to 9:30 am, so we will do our best to get your day off to a great start! It should be a good event with some great insight as to how your company should go about approaching Social Media, so I hope to see you there! Be sure to register, and feel free to foward this on to any interested parties. Sponsorship opportunities are still available if you&apos;re interested, so please contact Angie Johnson at ACJOHNSON@ut.edu, for more info on that! Stay tuned in for more updates on Tampa Bay area events and things to do in Tampa Bay! p.s. if you are a Twitter user and will be attending the event, please use the #UTampaSocMed hashtag for the event!